Memento Perissa consists of totaly 21 rooms. Three double and one triple standard rooms all with a balcony. Six double, eight triple and three quatern studios with balcony and kitchen. Enjoy your stay at our hotel with all the comforts at your hand. 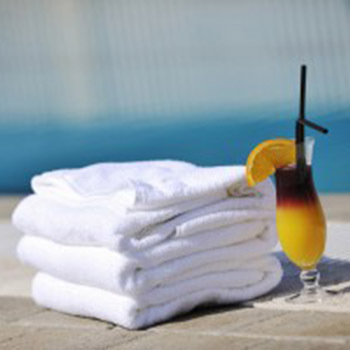 Our spacious swimming pool awaits you and we offer you towels especially for pool usage.